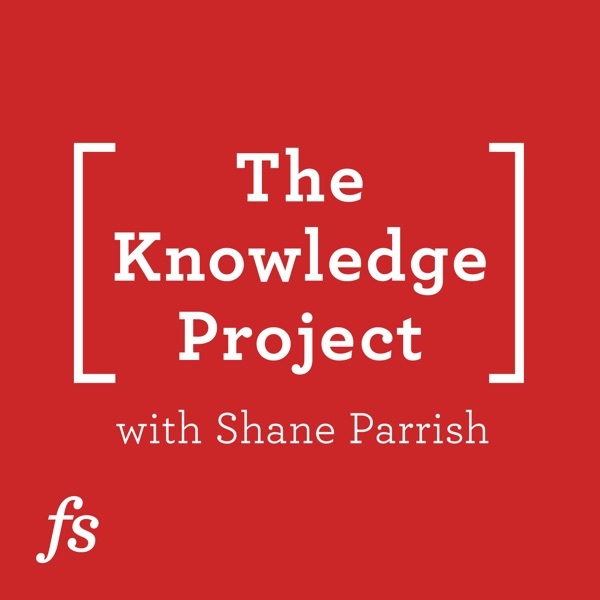 On this episode of the Knowledge Project Podcast, I chat with Patrick Collison, co-founder and CEO of the leading online payment processing company, Stripe. If you’ve purchased anything online recently, there’s a good chance that Stripe facilitated the transaction. What is now an organization with over a thousand employees and handling tens of billions of dollars of online purchases every year, began as a small side experiment while Patrick and his brother John were going to college. During our conversation, Patrick shares the details of their unlikely journey and some of the hard-earned wisdom he picked up along the way. I hope you have something handy to write with because the nuggets per minute in this episode are off the charts. Patrick was so open and generous with his responses that I’m really excited for you to hear what he has to say. The power of finding the right peer group in your social and professional circles and how impactful and influential it can be in determining where you end up. ...life in Silicon Valley, Baumol’s cost disease, and so, so much more. Patrick truly is one of the most warm, humble and down to earth people I’ve had the pleasure to speak with and I thoroughly enjoyed our conversation together. I hope you will too! Just when I start to think I’m using my time well and getting a lot done in my life, I meet someone like Barbara Oakley. Barbara is a true polymath. She was a captain in the U.S. Army, a Russian translator on Soviet trawlers, a radio operator in the South Pole, an engineer, university professor, researcher and the author of 8 books. Oh, and she is also the creator and instructor of Learning to Learn, the most popular Massive Open Online Course (MOOC) ever(! ), with over one million enrolled students. In this fascinating interview, we cover many aspects of learning, including how to make it stick so we remember more and forget less, how to be more efficient so we learn more quickly, and how to remove that barriers that get in the way of effective learning. The truth about “learning types” and how identifying as a visual or auditory learner might be setting yourself up for failure. If you want to be the most efficient learner you can be, and have more fun doing it, you won’t want to miss this discussion. How to tap into the collective knowledge of your organization so problems are solved quickly, efficiently, and cooperatively. The dangers of binary thinking and how Margaret catches herself from oversimplifying a situation. Why arguing may be one of the purest forms of collaboration — and how to do it correctly. How to identify the environment and context where you do your best work and how to best replicate it. When Pixar was dreaming up the idea for Inside Out, a film that would explore the roiling emotions inside the head of a young girl, they needed guidance from an expert. So they called Dacher Keltner. Dacher is a psychologist at UC Berkeley who has dedicated his career to understanding how human emotion shapes the way we interact with the world, how we properly manage difficult or stressful situations, and ultimately, how we treat one another. In fact, he refers to emotions as the “language of social living.” The more fluent we are in this language, the happier and more meaningful our lives can be. We tackle a wide variety of topics in this conversation that I think you’ll really enjoy. How to have more positive influence in our homes, at work and in our communities. And much more. We could have spent an hour discussing any one of these points alone, but there was so much I wanted to cover. I’m certain you’ll find this episode well worth your time. The quality of your outcome depends on the quality of your questions. Through asking the right questions we can spark innovation and creativity, gain deeper knowledge in the topics that are most important to us, and propel us forward in our personal and professional pursuits. Yet very few of us do it well — if we do it at all. My guest on the podcast today is Warren Berger — journalist, speaker, best selling author, and self-proclaimed questionologist. His insightful book A More Beautiful Question shows how the world’s leading innovators, education leaders, creative thinkers, and red-hot start-ups ask game-changing questions to nurture creativity, solve problems, and create new possibilities. In this episode, we discuss the importance of asking the right questions, why they’re critical to your success, and how you may be one great question away from a major breakthrough. How Warren manages the constant input and stimulation from online consumption when it’s time to create. If you think you could improve the quality (and frequency) of your questions to enhance key areas of your life, this is not a conversation you’ll want to miss. How diets shifted in the last century, and what impact it’s having on our bodies today. Is the sugar industry the new Big Tobacco? Are you in love with your own ideas regardless of how good they are Would you like to make better decisions and fewer mistakes? Would you like to improve the most important relationships in your life? These are just some of the topics I discuss with my guest, Ray Dalio. Ray Dalio is the founder of the world’s largest hedge fund, Bridgewater Associates, and is the author of the new book Principles: Life and Work. He is also a leading figure in the world of philanthropy, is an avid supporter of transcendental meditation, and has appeared on Time magazine’s list of the 100 most influential people in the world. Ray gave me over an hour and a half of his time, and I didn’t waste a minute of it. Marc Garneau (@MarcGarneau) is a Canadian politician, Engineer, and the Minister of Transport. This interview was recorded live in front of an audience in Montreal. As a bilingual country, you'll hear bits of French from the audience questions here and there but the interview is predominately in English. In this interview, we discuss the future of transportation (including self-driving cars), infrastructure investments, space, what it means to be a liberal in 2017, how we — as citizens — can judge an elected politician, how he ensures he's getting accurate information in a political system and so much more. Naval Ravikant (@naval) is the CEO and co-founder of AngelList. He’s invested in more than 100 companies, including Uber, Twitter, Yammer, and many others. It’s difficult to nail down exactly what we discuss in our conversation because I had so many questions to ask him. Naval is an incredibly deep thinker who challenges the status quo on so many things. This is an interview you’ll want to listen to, think a bit, and then listen to again. Just a heads up, this is the longest podcast I’ve ever done. While it felt like only thirty minutes, our conversation lasted over two hours! And although it is the longest, it’s also our most downloaded episode on the Knowledge Project, so make sure you have a pen and paper handy. There’s a lot of wisdom up for grabs here. This is one of 2 interviews that I conducted while visiting Greece this summer. Greek history is deep routed in many things as philosophy, democracy and culture and has laid the foundation of so much of what we know and how we live today. Today I speak with Aristotle Koskinas (@aristotlekoskin), a guide with Athens walking tours. He's one of the best guides you can find in Athens. In order to be a guide in Greece, an individual must complete a 2½ year program at the School of Tourist Guides in Greece - which is a state school under the Ministry of Development. Some of the courses in the curriculum include Ancient Greek history, Byzantine history, Prehistoric Archaeology, Mythology, Geology, history of Theater –and psychology of the tourist. Listen in for details on the history of Athens over the past 3000 years, the influence Greek culture has had across the world, and some insight on what surprises him meeting visitors from different countries. The island of Santorini has not only has breathtaking views but also a fascinating history. Traces of its first inhabitants have been linked back to 4500 BC. In 1613 BC the most powerful volcanic event in the last 10,000 years took place – completely destroying all the islands within a 60 km radius. It has been estimated that 90 billion tons of molten rock was injected into the air, the sea swallowed the volcano, and a massive tsunami swept across the Aegean Sea. Along with the obvious devastation of nature, it is believed that the eruption also sealed the deal for the most civilized nation on the island at the time, the Minoans. Thanks to the thick layer of ash cause by the event, the Bronze Age settlement of Akrotiri was so well preserved that we are able to see how prosperous the area had once been with an elaborate drainage systems, multi-storied buildings, incredible wall paintings, furniture and vessels. The site has as much of a significant importance as does Pompeii. The island’s main volcanic rock, its mineral rich soil, and the amazing climate, has produced some incredibly unique wines. Santorini is known for some of the oldest vineyards in the world. And we know that wine is one of my favourite topics. On today’s podcast I speak with Panayiota Kalogeropoulou about Santorini’s wines. Panayiota is the Director at the Domaine Sigalas vineyard. Paris Sigalas, a mathematician with a goal to make his Santorini vineyard a world heritage site, focuses on grapes that thrive in Santorini (these include the Aidani, Athiri, Plantana – and the prime Greek grape Assyrtiko). Samuel Arbesman is a complexity scientist whose work focuses on the nature of scientific and technological change. Sam's also written two books that I love, The Half-Life of Facts and Overcomplicated. If you love learning, but feel like it’s impossible to keep up with the endless flow of information in the world, then Sam’s your guy. Enjoy this fascinating interview below. On this episode, I’m happy to have Morgan Housel (@morganhousel). Morgan is a partner at the Collaborative Fund. He’s a former columnist at the Motley Fool and a former columnist of the Wall Street Journal. His work has also been published in Time, USA Today, World Affairs, and Business Insider. You name it, he’s been there. Simply put, he’s one of the shining lights of the business press. More than that, though, he’s one of the few people that I read all the time. As I’ve gotten to know him over the years, I can also tell you he’s an exceptional person. We even tackle a few of your questions, like what would he do if he knew there were no consequences, how life has changed since becoming a new father, and what’s on his bucket list. You’re going to love getting to know Morgan. I hope you enjoy this conversation as much as I did. On this episode of The Knowledge Project, I talk about one of my favorite subjects with one of the most respected sommeliers in the world: Véronique Rivest. After placing twice in the top 12 in 2007 and 2010, Véronique became the first woman to make the podium by taking second place at the world's best sommelier competition in Tokyo in March 2013. She's also the owner of Soif in Hull, which is quickly becoming one of my favorite wine bars. How Véronique self-directed her education in wine, and the steps she took to become one of the best in the world. If you want to impress everyone at the table the next time you’re at a restaurant with friends, listen to what Véronique has to say in this episode. You’ll be a wine expert in no time. Ryan Holiday is the author of a number of incredible books, including Trust Me I'm Lying, The Obstacle is the Way, and Ego is the Enemy. He also runs Brass Check, a premier book marketing agency responsible for dozens of New York Times bestsellers and tens of millions of books sold. In short, Ryan is the real deal. You're going to get so much out of this episode. Enjoy! Are we too busy to pay attention to life? An inbetweenisode of sorts where Jeff Annello and I discuss whether we're too busy to pay attention to life - on whether we're too busy to live. If you want more of these let me know #tkp on twitter. On this episode of The Knowledge Project, I talk about the architecture of music with conductor Alexander Shelley. Out of all the amazing conversations I've had, this might be my favorite. Shelley is currently chief conductor of the Nuremberg Symphony Orchestra and music director of the National Arts Centre Orchestra in Ottawa. Whether you’re someone who always has music playing, or just occasionally taps your fingers on the steering wheel when the occasional tune comes on, you’re going to absolutely love this episode. I can’t say enough about it. On this episode of The Knowledge Project, I talk rationality, changing minds (our own and others), filtering information, the role of intuition, and a lot more with Julia Galef. Galef is the President and co-founder of the Center for Applied Rationality, a non-profit organization based in Berkeley, California, devoted to developing, testing and training people in strategies for reasoning and decision making. She also hosts the Rationally Speaking podcast, a biweekly show featuring conversations about science and philosophy. Venkatesh Rao is the founder of the blog Ribbonfarm, the technology analysis site Breaking Smart, and the author of a book on decision making called Tempo.